﻿ The Gridiron Pool - Put in your picks! 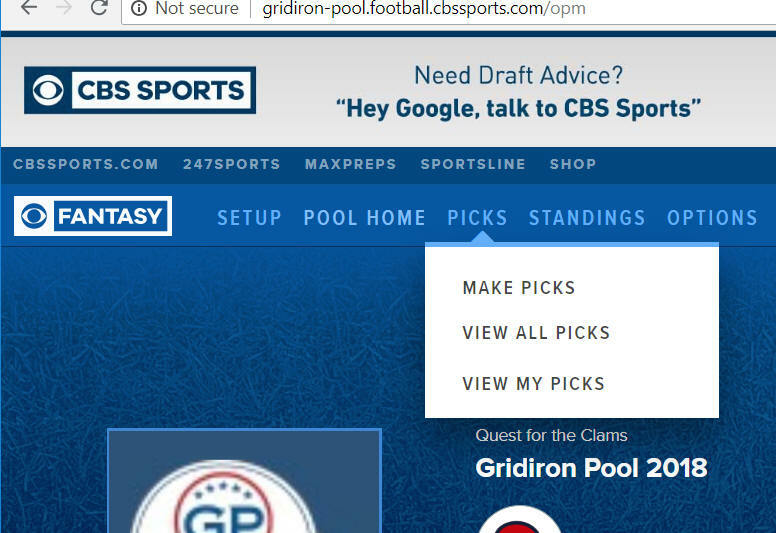 New Pool software this year - You MUST be registered on CBS Sports, then click on the registration link to join and to submit your picks !!! Login to the CBS login screen and the pull down menu by your username will have the pools listed that you have joined. Then make your picks, its that easy..